Paola Egonu shined in the most important game so far this season, leading Novara to the win over the reigning champions Vakifbank in the CEV Champions League semifinals. Even though this is the semifinals of the Champions League, the win of 3-0 against Vakifbank in Turkey can be described as a surprise. 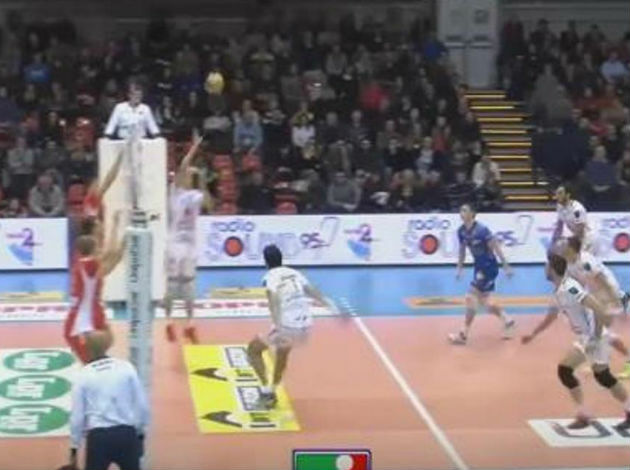 In this game, Vafkibank didn’t have a solution for one player – the Italian star Paola Egonu. She has shined in this game, scoring 30 points in just three sets. The whole team of Novara played at a really high level, while Guidetti’s side was not simply in the mood. Knowing the Italian expert, it’s not over yet. He will prepare the team for the final battle in Italy. We will see the outcome. However, Novara have a huge advantage now. If they win two sets, they will claim the ticket for Berlin. 3 Comments about "CL W: Monster display of Paola Egonu to destroy Vakifbank in straight sets"
Lol. What statistics, Kelsey Robinson attacked 12 times and 0%. For 3 sets 0 points! Sloetjes attacked 18 times, 4 balls finished. As you can see, they should leave Vakifbank. Paola Egonu show! Ravena has much better chemistry. Vakif and Ezcibasi are ruled this year and it wont pass 'big money for stars'. Kim, Zhu... they kill the play. See Italians. There isnt just Black Mamba, but also block was great, setter better and second opposite as well. Thats why they were in Finale in Japan. Turks need clearing of some wannabe stars and Motta should leave too, but they invest a lot in sport from few years back, problem is just Turks cant win, they need other. Similar to basketball where Fener is on top. I think Vakif is done with this team. In 2020 Fener might be placed on top. If Vargas wont do so many mistakes i see them in Ravena-Fener filane. Are you such an experienced fan, that you don't know name of the city?? ?